Just as well Usain Bolt has decided not to run the 200 metres in the World Championships in London in August. Otherwise, he would likely be consigned to a long and losing goodbye, by the new poster boy of sprinting, South African Wayde Van Niekerk. Because, all of a sudden, the closing curtain on the final act of Bolt’s illustrious career cannot come soon enough. Five weeks out from the start of the World Champs, Bolt’s form over 100 metres (the only individual event he will run in London) is precarious. He has yet to break 10 seconds this year, getting close with 10.03sec in his last race at home in Jamaica a month ago; but then struggling to run 10.06sec in clement conditions in Ostrava two nights ago. If that is not ominous enough, he had a ringside view in Ostrava of Van Niekerk’s 300 metres world best of 30.81sec. That took 0.04sec off Michael Johnson’s previous world best (300m is not an official record distance); more pertinently it broke Bolt’s own meeting record of 30.97sec. The immediate fates of Bolt and Van Niekerk could not contrast more. Protesting a back problem – evident from the way he laboured out of the blocks on Wednesday night – Bolt immediately jumped a private jet to take him from Ostrava to southern Germany, to get treatment from celebrated physician, Dr Hans-Wilhelm Müller-Wohlfahrt. Meanwhile Van Niekerk, who barely broke stride as he coasted through the line at the end of his 300 metres, looks to be headed for even better performances than last year. Since breaking MiJo’s 400 metres world record, with 43.03sec, when winning the Olympic title, from lane eight(!) in Rio last year, Van Niekerk has already added to that this year the considerable kudos of becoming the first man in history to have run sub-10, sub-20, and sub-44sec (for 100/200/400 metres); and now sub-31 for 300 metres. In short, he is flying! Van Niekerk must already be shorter odds than was MiJo in Göteborg 1995, to win the elusive 200/400 metres double. And the South African has a winning way off the track too. No one is likely to emulate Bolt’s personality (and why should they try? ), but interviewed immediately after his 300 metres triumph in Ostrava, Van Niekerk was gracious to a fault, and took control of the interview, bringing it to a close on his terms as smoothly as he ghosted through the finish line five minutes earlier, saying, “Let’s watch Usain Bolt do his last race in Ostrava, and enjoy the night”. Nice one, Wayde. 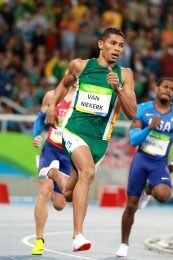 Bolt reciprocated, saying of Van Niekerk, “For sure he is the next superstar. I think he really wants to be a sprinter. He is showing he is ready for the challenge. He is really down to earth, he is humble, he is a great person. He listens and he wants to be good. He is on the right track and if he continues like this he will take over track and field”. Of course, last major championship or not, Bolt is going to do a final tour of the European, if not the Asian end-of-season circuit. At a quarter mil per appearance at least, who wouldn’t? But what price a match-up between the Jamaican and Van Niekerk over 200 metres? Now, that is a race I’d travel a lot of kilometres to watch. And if Bolt manages to win the world champs 100 metres, given that Van Niekerk would have to break a leg not to win the 200/400 double, that is the sort of match that IAAF Prez, Seb Coe will immediately understand; because what Coe and arch-rival Steve Ovett did for nothing in successive Olympic Games in 1980/84, ie race each other, is something that must be worth a million bucks enticement to Bolt, if not Van Niekerk, although I suspect that the South African would do it for nothing but the delight of victory over the greatest sprinter in history. Incidentally, I’ve got nothing against Usain Bolt. He has illumined our sport like no one else since the equally ebullient Emil Zátopek in the 1940s/1950s. No one, not even Van Niekerk is likely to reproduce three successive Olympic sprint doubles, with what would have been four World Champs doubles (2009-2015) for Bolt, but for the inexplicable false-start in the 100 metres final in Daegu 2011. But it’s another sprint match in south Korea that I’d like to see reproduced, the one that I witnessed in Seoul 1988, the Olympic final between Big Bad Ben Johnson and King Carl Lewis. And no matter what the record books say now, it was one of the most exciting races I ever saw. Well all things come to an end………….But no one seems to have noticed that Bolt looked pretty easy in Ostrava. Given Van Niekerk Will have to break a leg not to win the 200/400 double says you and only you. He has a fight on his hands in the 200 especially he is no shoo in given that Coleman Degrasse and Blake are out and out sprinters, also it will not be easy for him in the 400 if Kerley keep up. Wvn is nowhere near a lock in the 200m. Andre Degrasse is my bet for 200m gold and teenager Noah Lyles wouldve been my choice for silver with wvn 3rd. I hope to see that race with those guys in europe. Lyles just broke indoor 300m world record and cruised 19.90 into a headwind, only .06sec off niekerks best. Lyles is the real deal. Emerson….You’re on point. Lyles is indeed the real deal. Sad that he will miss the WC with an injury, I think the 200 would have been the match-up of the WC’s (between Degrasse and Lyles)……notice I didn’t include Van Niekerk. He lacks the fast twitch muscles that the other 2 have loads of. They’re pure sprinters and have the ability to shift gears.  Van Niekerk is more of a floater or rhythm runner…Quarter miler. Ben Johnson’s speed came from a needle and his own lack of basic moral character. I would not want to see anything involving him ever again. Not sure why this author ends with nostalgia for one of the worst moments in modern athletics, the men’s 100m at the 1988 Olympics.